The No. 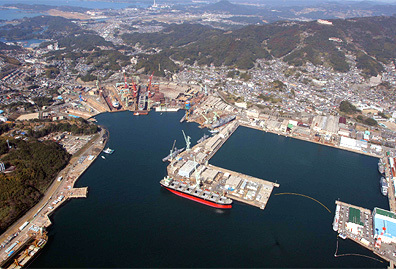 4 Building Dock is reserved for the construction of new medium and large ships. Smaller new constructions are allocated to the No. 3 shipway. 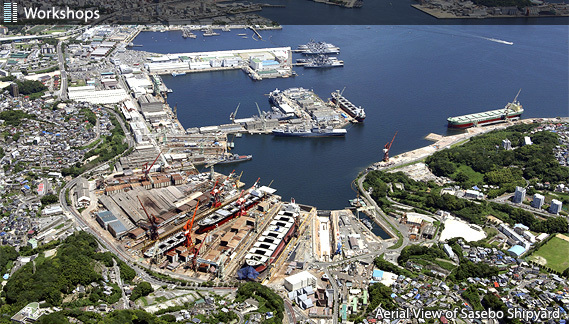 Repair work is carried out at the four repair docks and the outfitting quays, which have an overall length of 1,210m. No. 3 Repair Dock (180,000 GT) is capable of repairing large ships. The dock is equipped with labor and energy-saving facilities such as a guide rail-type ship positioning system for docking and undocking, and automatic traveling scaffolding for painting. 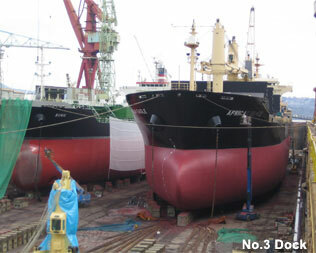 The company is well equipped to carry out the construction, conversion and repair of vessels of all types. We can offer our clients work of the highest quality, based on the latest technologies and our long experience in building large ships under stringent quality controls.